Matt Oscamou mashed the Pickup button on his Uber app over and over until – success. His request went through. Except he wasn’t looking to get to the airport or across town. He’d be hopping into a car with Google Ventures, the VC arm of the Web giant that will invest $300 million this year in startups like his. He was wearing sandals and a t-shirt, and holding a latte. Oscamou was one of about two dozen people taken on the ride of their life that day, thanks to UberPITCH, the latest viral offering from the company that continues to disrupt the way we drive and live. Uber has tested on-demand ice cream trucks, sent kittens to offices, and delivered Christmas trees at a moment’s notice. On Wednesday the company unveiled UberPITCH, to match aspiring entrepreneurs with the money, the guys behind Google Ventures, promising entrepreneurs, dreamers and visionaries the break of a lifetime. 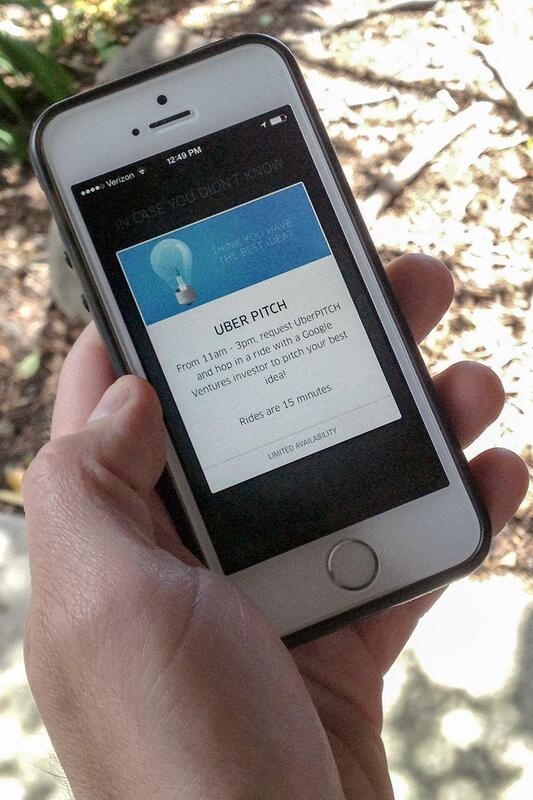 “We’re teaming up with Google Ventures for #UberPITCH, and anyone with 15 minutes and a good idea can request a ride. From 11am – 3 pm, distinguished investors will listen to your ideas in Palo Alto, Mountain View and Menlo Park… and the rides don’t cost a thing,” wrote Uber’s Spencer Rinkus in a post on the company blog. The company sent around a further notice to users of its app, giving fans of the service like Oscamou an early notice — assuming they open the email in time. He almost didn’t. “That’s a life changing email opening right there,” he told Digital Trends. “When do you ever get stuck in the backseat of an SUV with one of the biggest VC firms in Silicon Valley”? Oscamou’s business is an anti-Silicon Valley thing, as far from high-tech as possible; it makes a bite-sized alternative to cereal bars called Frontier Bites. Made from only eight ingredients, it’s “hypersimple,” he said. The company motto: Your next frontier awaits. The pitch itself was sort of a blur, he said, although he wasn’t nervous. The 35-year-old Santa Clara businessman talks about his ideas to anyone and everyone. But he wasn’t quite as prepared for the opportunity as he might have hoped. Oscamou wasn’t handed a check that day — no one was, nor did they expect it. But he is going back to meet with other people and bring over samples. And Krane told Digital Trends he knew a few other people he wanted to introduce to the bite-size business. The idea behind UberPITCH – elevator pitches in the backseat of a sedan – came about in the most unlikely place of all. Krane said one of Uber’s Silicon Valley leads sold him on the idea as they descended nine floors in an elevator. Krane, an affable 40-something with a decade and a half at Google under his belt, joined five of his colleagues at the VC firm to listen to other pitches and try to ferret out the best. Google Ventures is allocated $300 million each year by its parent company to invest; it now has a billion and a half under management, Krane said. Some of those ventures fail. Others pay off – heard of a little thing called Nest, for example? Uber itself was a beneficiary of the fund, and Krane himself is an Uber board observer. 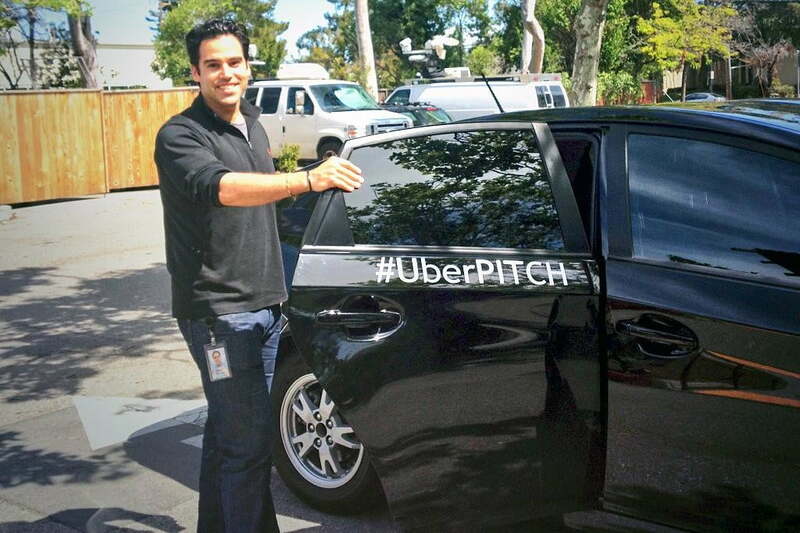 The UberPITCH experience was fun, he explained, and a success all around. Google Ventures “absolutely” met people they would follow up with or introduce to others. But whether money comes from it or not, Oscamou was thrilled by the experience. Reached in the morning, with a fresh latte at hand and a grin you could feel through the phone, he couldn’t stop laughing.